As we reported in a post yesterday, we are now aware of a new and unique hazard from FDDs that discharge to a City collection line in the home extension, which is the case for most FDDs–very destructive winter backups due to freezing of the City-owned collection lines to which these FDDs are connected by law. We are advising owners that, in order to protect homes from damage next winter, homes connected to City collection lines require permanent remediation before next winter. The City collection line problem has one solution while the FDDP continues to exist: the City has to start reburying the lines in front of homes with front discharge FDDs now or else implement a transitional fix of some kind that will allow homes to bypass the discharge lines next winter, which now represent a proven hazard at any such home. The City is not likely to volunteer to do this remediation, which would be expensive and necessary city-wide, and would compound its difficulties defending the FDDP any further. Either way, homeowners need to demand action from the City immediately because the flooding at the two properties involved (as would likely be the case in a winter backup in any home) was not covered by insurance because the flooding did not originate out of the sump. These backups were 100% the City’s responsibility. CDMI specified collection lines at 24 inches, the City engineers approved that and the pre-qualified contractors just hooked the houses up to water-carrying lines that were obviously at risk for freezing. We also have some reason to inquire whether this particular cut corner in the City’s FDD collection line construction was not in fact known to the City and CDMI in advance. First, these winter backups are a different animal entirely from spring and summer backups or backups during power outages. These were far more dangerous and similar events are likely to cause very extensive damage to the interior of basements and to flood building foundations until discovered and temporarily remediated. This can only be accomplished by bypassing the FDD lines across the lawn, until the City can clear its collection line of ice blockages. Unfreezing the lines took days in this case. A backup from a frozen City line will therefore always cause a catastrophic failure of the whole FDD system inside and outside the home. The FDD becomes an immediate and absolute water trap for the house. The failures at the two homes were in the extensions and the owners were powerless to do anything without the City. 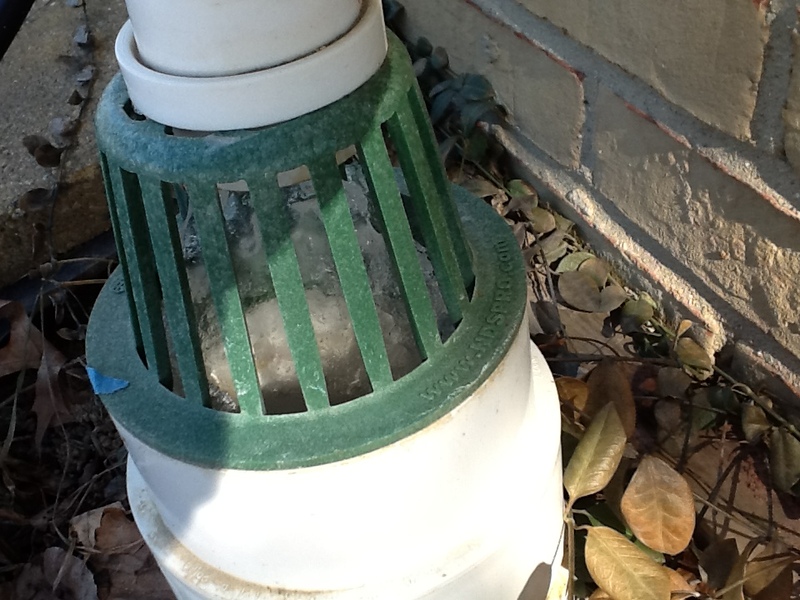 We are not sure what happens or where the water goes if the air gap is filled with ice and the City line freezes when the temperature is -15 degrees. We are consulting a plumber unconnected to the FDDP and will pass on further information from him. Second, the damages and out-of-pocket losses from this one event were outrageous (about $20,000 between the two houses). None of the loss was covered by insurance because the flooding did not originate from the sump. So the City has not only created a disaster in its collection lines, but left the owners of affected homes holding the bag for an uninsurable risk and unable to protect themselves with insurance in the future, without a special policy or rider. Winter backups could occur over and over in the same line and the same house in a hard winter, no matter how many times the City arrives too late to prevent damage to homes and it will always be too late, as described above. Under the FDDP and based on past history, we would assume the City would say that the owners have to eat the expenses of loss, replacement and repair in their home–that is, anything that was unrelated to the cost of solving the City’s problem of not destroying the two basements entirely. If we want action from the City, we are going to have to make noise to get it. The affected homeowners have shown real bravery and compassion for their neighbors (like the plaintiffs in Yu, et al. vs City Ann Arbor) by standing up, being counted and fighting the City in the open. They are prepared to be the class action representatives for all property owners with front discharge FDDs and they deserve expressions of support here at the website and in emails to the following to the Mayor, City Council, City Attorney Stephen Postema and Chief Asssistant City Attorney Abigail Elias (the relentless defender of the FDDP, not matter how much it harms owners), PSA Director Craig Hupy (who runs the FDDP) and FDDP Project Manager Ann Warrow, who advised the CAC “investigator” that the weather will be better in the future. Third, based on our review of what occurred at these two homes (quite similar in both cases) and the staggering magnitude of the design, engineering and construction malpractice that are apparent at either home, winter backups of this type have a very high probability of lasting much longer than spring and summer backups. The latter (assuming the owners are home) tend to be discovered pretty quickly. Winter backups, however, do not originate out of the sump (which is covered by most home insurance policies), but rather at the bottom of walls remote from the sumps. Fourth, these were stealth backups. Based on the experience at the two homes, the water in a winter backup could conceivably enter from the foundation footings at any point around the basement (front wall is most likely) where water finds its way under a wall, by gravity or otherwise. The FDD system, at this point, is just packed to the gills by the flow of snow melt to the footing drains and the backup from the frozen City collection line. The water has nowhere else to go except into the foundations and then into the basement from the disconnected footing drains. At one home, the wall at the other end of the basement from the sump (just behind a valued walk-in cedar closet) was destroyed (along with the cedar closet) before the source of the flooding was even identified. That took roughly two days with the owner’s plumber (Maize and Blue) working diligently on the problem. Fifth, during all this time, the frozen City lines continued to block the discharge 100% at the exterior wall of the house, while the air gap discharge and the snow melt (which can go on for days after a quick thaw) continued to overfill the disconnected footing drains. The result was water flooding in, but no water able to get out of the house. The City turned the matter over to CDMI, which acted tentatively and delayed a fix further by instructing the owner (instead of sending out a crew) to make an outside fix in -12 degree weather in the dark, which she attempted and had some success. That, however, is beyond the pale for risks and “maintenance” that homes with FDDs have to endure. Finally, when the City ultimately arrived (because it was the City’s line that was frozen), the FDD had to be bypassed entirely and the FDDP project manager actually approved a reconnection at one home, which was apparently botched by Perimeter. The reconnect failed and virtually overwhelmed the house with sewer gases. The owner who went out into the freezing night at CDMI’s instructions, soon thereafter developed chest pains and difficulty breathing and had to go stay with a daughter in Alaska for two weeks until the sewer gas problem was resolved. And even after the bypass, it took almost two days more for the City to clear the frozen lines (more than one, it seems) with high pressure and heated water. The owners have to sity by helpless to defend their properties from the City lines. The City has not told neighbors anything close to the real story here. We know there are other homes where collection lines froze, and we’d like to know where they occurred. In the meantime, we suggest that owners write the City and demand reburial of the collection lines in their extensions now. Don’t wait. The owners affected by the two backups have demanded reburial, as well as demanding payment for a contractor not affiliated with the FDDP to dig up the gravity discharge line under the lawn that was installed by their “pre-qualified” FDD contractors. Perimeter, Hutzel, Bidigaire, Landscape Contracting and RDC Residential Services, the lucky pre-qualified contractors, dug these under-lawn lines at thousands of homes and then connected the homes to the City’s absurdly shallow collection lines all over the City. Apparently, none of these contractors knows or cares what either the freezing point of water is or where the frost line is here. Those under-lawn lines are buried even shallower than the collection lines, at only about 18 inches, so they are also a freezing risk. Even if the City collection line does not freeze, if the under-lawn line freezes, it will cause the whole FDD to fail just as catastrophically all by itself. FDDs, as of May 2014, are dangerous and undependable. We want to state clearly that CDMI and the five pre-qualified contractors (with the City’s okay and money) created this mess. We strongly advise that you steer clear of CDMI, OHM-Advisors (including personnel working with the CAC) and any of the pre-qualified contractors in pursuing relief for yet another FDD problem we are forced to deal with. Get your own contractor. At this stage, a2underwater is willing to state our belief that the FDDP is a program affected by sweetheart deals and corruption and these companies have incentives to cover things up, not fix them. This is an unusual and uncomfortable situation for Ann Arbor, where people have traditionally trusted City government, but it is what it is. When a so-called “investigator” for the Citizens Advisory Committee turned up these two winter backups, he recorded the disasters; cited the FDDP Project Manager for the proposition that the problem was a “rare” harsh winter; concluded for some reason that the two winter backups were not indicative of a problem city-wide; and then buried the report at OHM or the CAC. We beg to differ with the “investigator”: the two backups (and the others of the “handful of cases” he refers to) prove the City’s collection lines are another disaster waiting to happen to other homes–perhaps many more–even if future winters are no worse than the past one. If you have information about frozen lines last winter or before, please email us at a2underwater@gmail.com and let us know. If you have questions about remediation and dealing with the City, and don’t want to post them here, please email us and we will offer help. In the meantime, the owners of the two affected properties are prepared to pursue their remedies in court promptly if the help from the City is not forthcoming. This is one risk we categorically refuse to accept for another winter. If you are fortunate and haven’t been disconnected and then connected to the unreliable City collection lines, this is a good time to decide that this isn’t going to happen at your home. If the City offers to redirect the discharge onto the property, such as to the backyard, tell them uncategorically “no.” That is just an invitation to another set of problems affecting two of the plaintiffs in the Yu v City of Ann Arbor case: landscape damage and recycling of sump pump discharge.